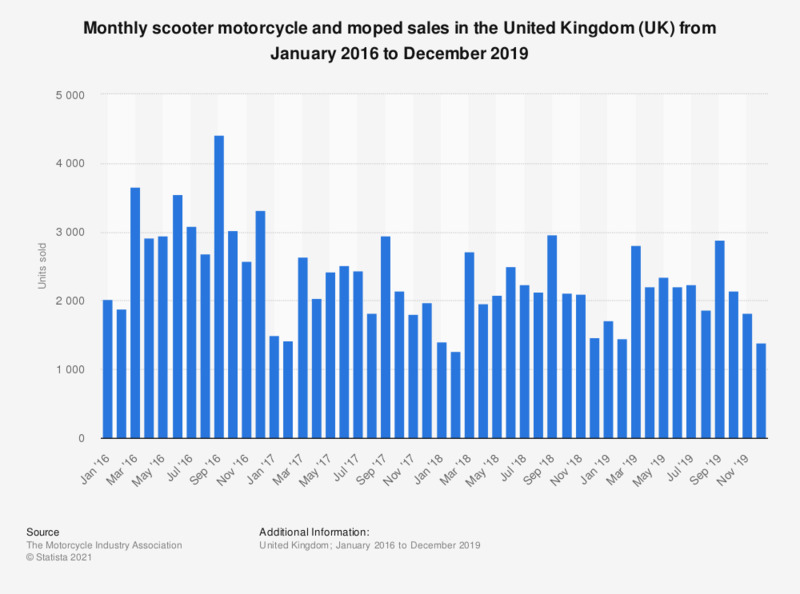 This statistic shows the total number of motorcycle and moped scooters sold in the United Kingdom (UK) from January 2016 to December 2018. As with other vehicles, sales tend to spike in March and September due to the release of new registrations. This also explains the lower sales in February. Statistics on "Motorcycle industry in the Netherlands"